Anytime you are faced with an important healthcare decision, it helps to have details about your options, the benefits, and the risks of the procedure. But research has shown that many patients are not receiving the decision support they need. In fact, according to one study more than half of breast cancer patients receiving a mastectomy did not have the information they needed to make an informed decision about reconstructive surgery. The study conducted by Clara Lee, MD, a breast reconstructive surgeon at The Ohio State University Comprehensive Cancer Center – Arthur G. James Cancer Hospital and Richard J. Solove Research Institute, measured the participants' knowledge about mastectomy and mastectomy with reconstruction. It also reviewed each patient's individual preferences including breast appearance after treatment, the recovery time, and the risk of complications. What Dr. Lee and her associates found was that less than half of the women had adequate knowledge of what breast reconstruction entails and made a choice that was in line with their personal preferences. As a result, some women did not get the treatment and care that they preferred. Additionally, the women in the study did not have a good understanding of the complication risks associated with breast reconstruction, nor did they realize how high those risks were. In fact, only 14 percent of patients had a firm grasp on the risks of a major complication. This is concerning because the chance of a major complication in the first two years after surgery ranges between 16 to 40 percent. In the end, this means that many women took risks which—had they been given adequate decision support—may not have taken. What's more, the findings from this study are not unique to breast reconstruction. In fact, there are many areas in health care where there are gaps in a patient's understanding of key treatment information. As a result, the decisions patients end up making are often out of alignment with the things they care most about, the study's authors concluded. When it comes to their health, research shows that patients want to be involved in the decision-making process. In fact, when patients are given decision aids, such as educational booklets, DVDs or other interactive tools to help them make choices, they end up feeling more knowledgeable and satisfied with their care. They also experience less stress and anxiety when they know exactly what to expect. For instance, in a national survey of adults facing a medical decision like taking a new medication, having elective surgery, or undergoing cancer screening, patients overwhelmingly indicated that they wanted to learn more about the risks associated with the new treatment. They also wanted to feel like their physicians were listening to them. But less than half of the patients said that their doctor asked them about their goals, preferences, and concerns. This lack of communication and decision support erodes the doctor-patient relationship. Meanwhile, another study that reviewed patient empowerment, the use of decision aids, discussions of healthcare problems and explanations of treatment options found that implementing these pieces of healthcare information benefits both the doctor and the patient. Not only are patients more satisfied with their care, but they also build trust and respect for their physician, two crucial elements of the doctor-patient relationship. Moreover, the use of decision aids is not meant to replace the physician. Instead, it is meant to complement the discussions he is already having with his patients. The idea is that decision support allows the patient to take a more active role in her healthcare. To determine the usefulness of decision support, the Mayo Clinic has been developing and testing its own decision aids and distributing them free of charge to other healthcare providers. For example, their Diabetes Medication Choice Decision Aid, helps patients and their providers select among six different medications used to treat type-2 diabetes. With the use of the decision aids, patients select the issues that are most important to them. These might include blood sugar control, method of use, daily sugar testing, risk of low blood sugar, weight change, side effects, and costs. They then work closely with their doctor to make comparisons between the drugs and their preferences. It is worth pointing out that some patients do not want to share in the decision making and often prefer for their doctor to make decisions in their best interest. But the percentage of patients preferring this approach is much smaller than those who want to be involved. 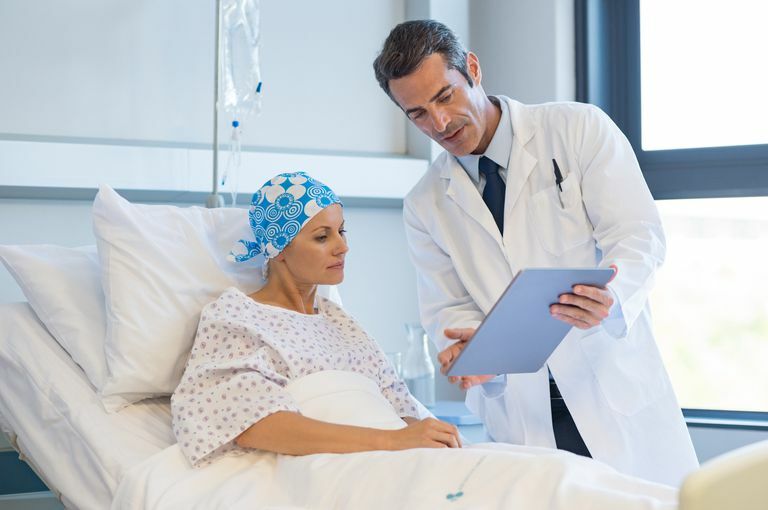 Decision support, or shared decision making as it is sometimes called, is encouraged when patients have a preference-sensitive condition, like mastectomy with breast reconstruction. In these instances, there is more than one reasonable form of treatment. Unlike healthcare issues where the treatment option is clear, like the treatment of appendicitis, there are some conditions where there is not a clear best choice. Consequently, deciding what course of action to take may depend on a patient's preferences as well as her tolerance for risk. As a result, many healthcare professionals feel these decisions are best made with the help of decision aids. For example, in a study conducted by the Cochrane Collaboration, researchers found that the use of decision aids improves a patient's knowledge and satisfaction. Moreover, they found that patients that reviewed decision aids prior to making a decision chose to pursue major elective and invasive surgeries less often. This finding is particularly important because it can reduce the overuse and misuse of certain procedures, especially when as much as 25 percent of elective surgery may be unnecessary or inappropriate. End of life care is another area where decision support is particularly needed. For instance, patients and their family members need to determine how they want to address different situations that could arise at the end of life and be sure their last wishes are honored. One example might be discussing various pain medications, their side effects, and how much the patient wants to be prescribed at the end of life. Other issues that need to be addressed include resuscitation, feeding tubes, and respirators. People need to know what situations might arise and what their options are. This way, they can make informed decisions in advance. Many people often fear having these discussions. For instance, the patient often has questions about end of life, but is afraid to upset their loved ones. So they stay quiet. Meanwhile, the family members also may have questions but do not know how to bring them up without hurting a loved one's feelings. In these cases, decision support provided by the physician would not only alleviate the burden of asking, but would also help patients and their families address important issues. It becomes a way for the patient to communicate her wishes before her circumstances force her to do so. While there is no perfect solution to bringing up end of life concerns, decision aids may help facilitate an otherwise uncomfortable conversation. When you are faced with a new diagnosis, look for a physician or healthcare system that is not only patient-focused but also provides high-quality decision support. This includes finding a practitioner that provides you with information about your treatment choices and the associated risks. Many doctors provide this information through a variety of tools including in-person discussions, DVDs, and printed materials. When you have access to these decision-making tools, and can work alongside your physician, you can make the right decision for you. And ultimately the care and treatment you get is in line with the treatment and care you want. "Half of Breast Cancer Patients Get ‘Low-Quality’ Decision Support When Considering Reconstructive Surgery," UT News, University of Texas at Austin, May 3, 2017. Hosteler, Martha and Klein, Sarah. "Helping Patients Make Better Treatment Choices With Decision Aids," Quality Matters, Commonwealth Fund, October 2012. "Is Breast Reconstruction Right for You?" BreastCancer.org.